Two-function mechanical rear-wheel drive for optimum use of the four-wheel drive feature. Welded frame structure is made of high-strength steel. 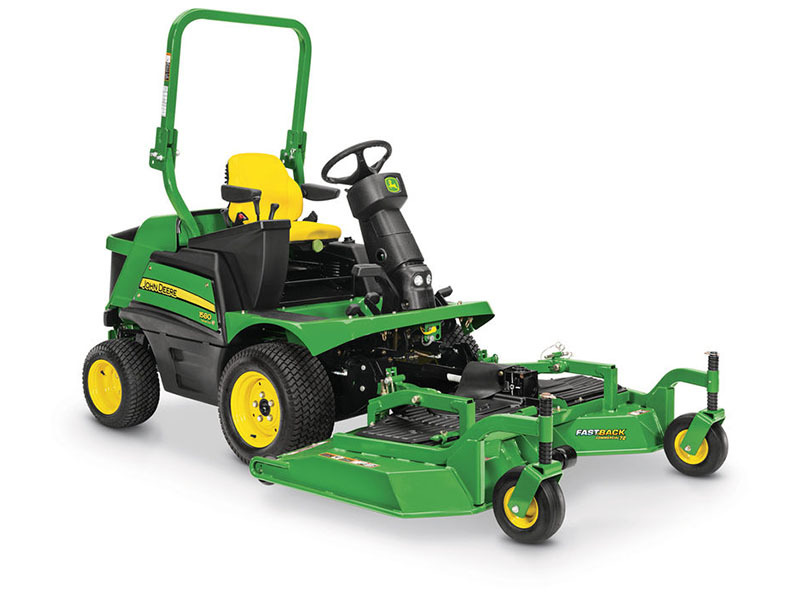 Mower decks for TerrainCut™Front Mowers match a wide variety of needs. Diesel engine has high-quality features to minimize operating cost. Hydrostatic transmission and transaxle are heavy-duty tomaximize uptime. Front mower seat has standard arm rests for added comfort and productivity. Easy-to operate controls maximize productivity. Serviceability is designed-in to reduce maintenance cost and increase uptime.